A lot of effort has been put into creating this item and I hope you will enjoy working with this theme as much as I have enjoyed creating it. In this document you will find detailed information on how to use this theme. If you don't find the answers to your questions in this help file, please send me a message via the item support tab. This theme includes 6 months support from purchase date, with options to extend. If you like "SPOON" and want to support my work please rate it on Themeforest! Please make sure that you are using the latest version of Wordpress before you install "SPOON". 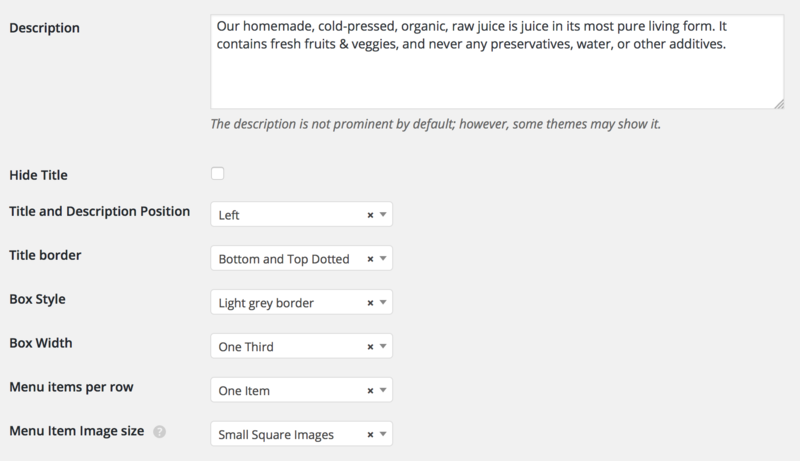 The styling of menu items requires WordPress version 4.4 or higher. Information on how to install Wordpress you can find here . Click Upload Theme, browse your files and find spoon.zip. Once you install Spoon, you will get a notification message in your WordPress admin telling you of the required and recommended plugins with an option to install them. Alternatively you can go to Appearance > Install Plugins to see a list of the required plugins and to install them. Once the plugins are installed, you need to activate them. Please note that the Revolution Slider plugin needs to be installed manually - please find the instructions below. Spoon Custom Post Types - This plugin is required in order to display/use the 5 custom post types (Menu, Events, Gallerie, Team and Content Boxes). Once the plugin is installed you will see the custom post types in your WordPress admin. Once you've activated this plugin, save your permalinks by going to Settings > Permalinks and click Save Changes. Meta Box - This plugin is required in order to display/use the custom fields for pages and custom post types. Spoon Meta Boxes - This plugin is required in order to display/use the custom fields for pages and custom post types as well. Contact Form 7 - This plugin is required in order to display a contact form. 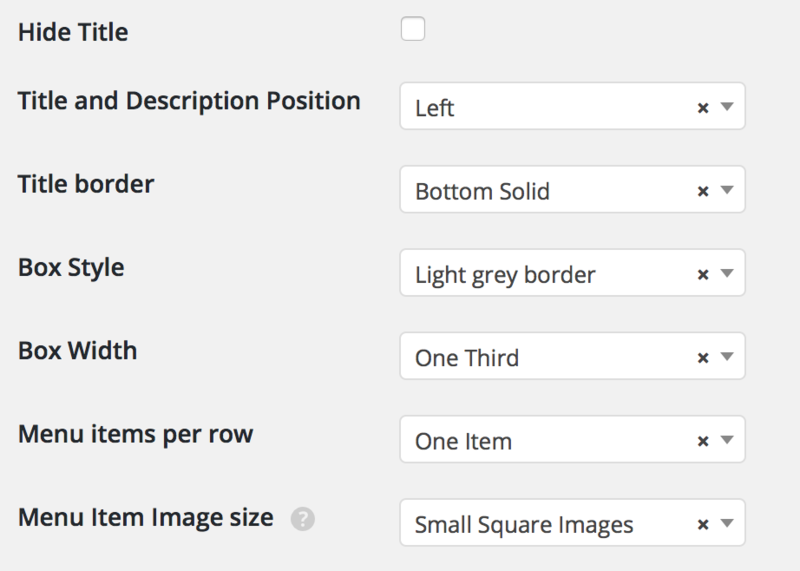 Intuitive Custom Post Order - This plugin is required in order to change the order of frontpage sections, menu items, menu categories, galleries, content boxes and team members. Once the plugin is installed, go to Settings > Intuitive CPO, check the Post Types and Taxonomies that you wish to reorder and click Update. Now you can simply drag and drop items into a certain order. Spoon Shortcodes - This plugin is required in order to use the shortcodes on your site. WooCommerce - This plugin is required in order to include a shop page. 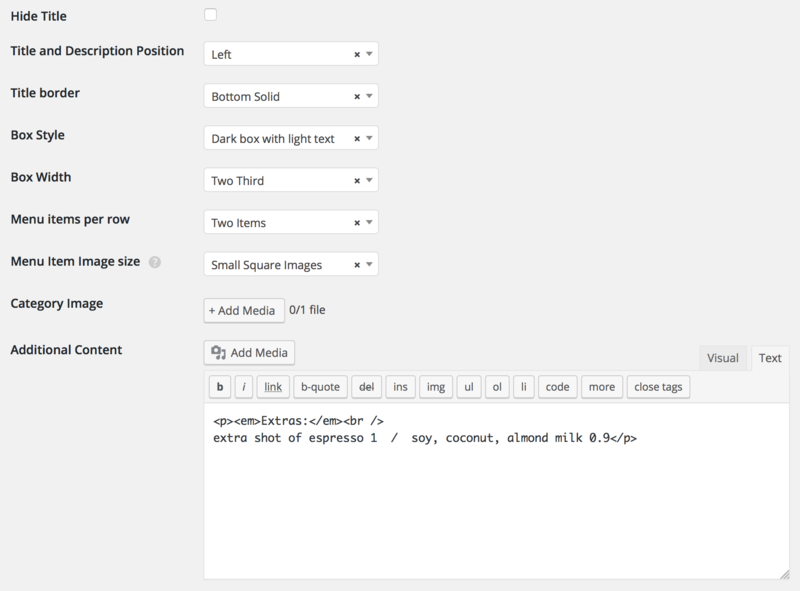 Revolution Slider - This plugin is required to display the slider section. Once the plugin is successfully installed, click Activate Plugin. 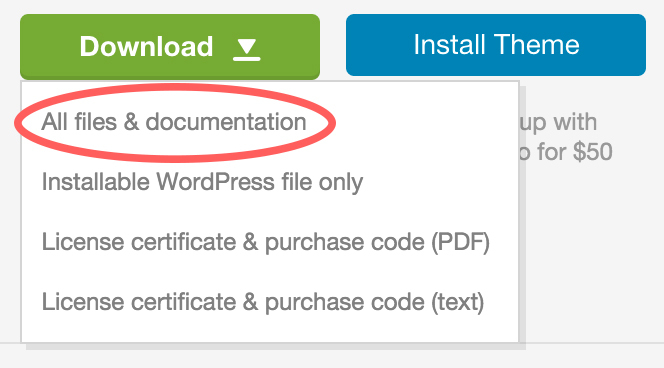 (Alternatively you can install the plugin via FTP by uploading the "revslider" folder via FTP into the wp-conten/plugins folder of your WordPress installation and then activating the plugin in Plugins > Installed Plugins). HERE you can find more information, an online documentation and usage examples for Slider Revolution. If you want a quick start you can import the content from the SPOON demo site (images are replaced with dummy images). It is very important that you install all recommended plugins before you install the dummy content. You can do that in Appearance > Install Plugins. The import of menu categories settings requires at least WP version 4.6. Upload the xml file called "spoon-demo-content.xml", that you can find in the folder "demo content". Now assign your posts to an existing user, check the "Download and import file attachments" checkbox and click "Submit". Go to Settings > Reading and select Front page displays a "static page". Go to Appearance > Menus, make sure "main menu" is selected, scroll down and under Menu Settings > Theme locations , check SPOON Main Menu and click Save Menu . Click on Slider Revolution > Import Slider. 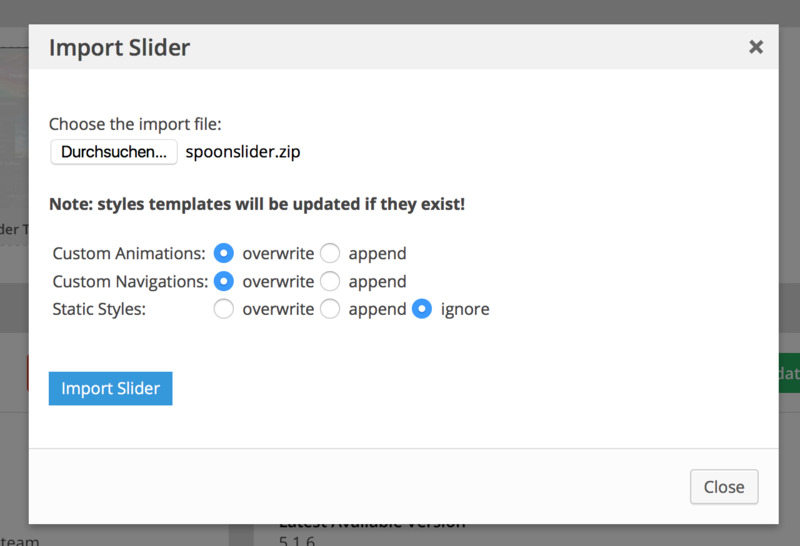 Upload the spoonslider.zip file that you can find in the Spoon download files (subfolder "slider revolution/spoon demo slider"). Go to Pages > All Pages, look for the menu sections and pages (for example: SECTION drinks menu") and click "Edit". Scroll all the way down and select the menu categories that you want to display in this section / on this page and click Update. and simply drag and drop the categories into the following oder. (Make sure you've installed and set up the Intuitive Custom Post Order plugin). 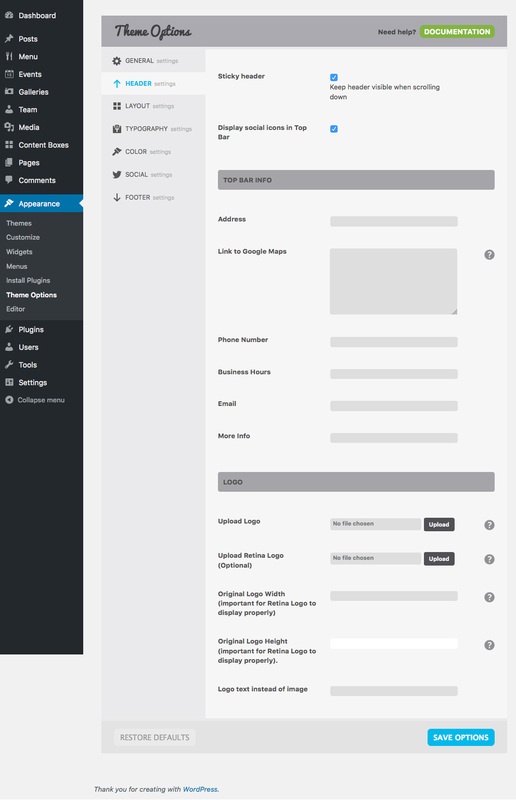 At Appearance > Theme Options > Header you can add an Address, Phone Number, Business Hours, Email etc. and upload your logo. If you wish to display social icons in the Top bar, check the "Display social icons in Top Bar" checkbox. At Appearance > Theme Options > Social you can fill in the URLs to your social network accounts. At Appearance > Theme Options > Color you can change the background and text color of the Top Bar and Logo/Navi Bar. At Appearance > Theme Options > Typography you can adjust the font size of theTop Bar Info and Menu. If you wish to hide the Top Bar, simply remove all the Top Bar Info and uncheck the "Display social Icons in Top Bar" checkbox. Click create a new menu . Enter a name for your menu and click Create Menu. In Menu Settings select "SPOON Main Menu" and click Save Menu. Select menu items from the left column and click "Add to Menu". Click on the drop down arrow of a menu item to change the navigation label or if you want to open the menu item in a new tab. Click "Sceen Options" in the top right corner for more options. Go to Appearance > MENUS, click on Screen Options in the top right corner and check the "CSS classes" checkbox. Look for Page Attributes on the right side and click on the Template drop-down menu. Select the "Front Page" template. Click Settings > Reading and select Front page displays a static page. Select the page you just created as your Front page and click Save Changes. Now you can add sections to this page. You can give this section a title, eg. "SECTION home" or "SECTION menu". (The title will not appear anywhere on the site). You don't have to select a page template. Now you can optionally set the padding value, content max width, select a background color, add a background image with parallax effect (by uploading a Featured Image on the right hand side), enter title and subtitle and create section buttons. Go to Appearance > Menus , select a page from the left column and click "Add to Menu". If you want, you can rename the menu item by clicking on the drop down arrow of the new menu item and changing the navigation label. 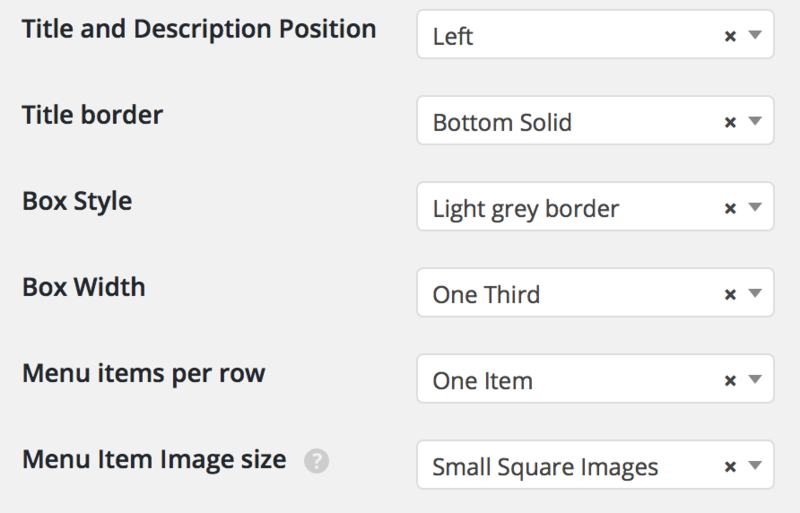 Changing the order how sections appear on the front page requires the Intuitive Custom Post Order plugin. You can install this plugin in Plugins > Add New. Once the plugin is installed, go to Settings > Intuitive CPO, check the "Sortable Post Types > Pages" checkbox and click Update. First you need to install the Slider Revolution plugin. More info on how to install the plugin you can find under Getting Started > 2. Required plugins. Once the plugin is installed and activated, click on Slider Revolution and either import the demo slider (instructions can be found under Getting Started > Installing the demo content) or start creating your own. Click here for the full Slider Revolution documentation. You can give this section a title, eg. "SECTION slider". (The title will not appear anywhere on the site). You don't have to select a page template. Scroll down below the editor, and in the FRONTPAGE SECTIONS settings box, check the Front Page section checkbox and under Section Layout select Slider. Add a Slider Revolution shortcode into the editor. You can do that via the Slider Revolution Shortcode Creator button above the editor. 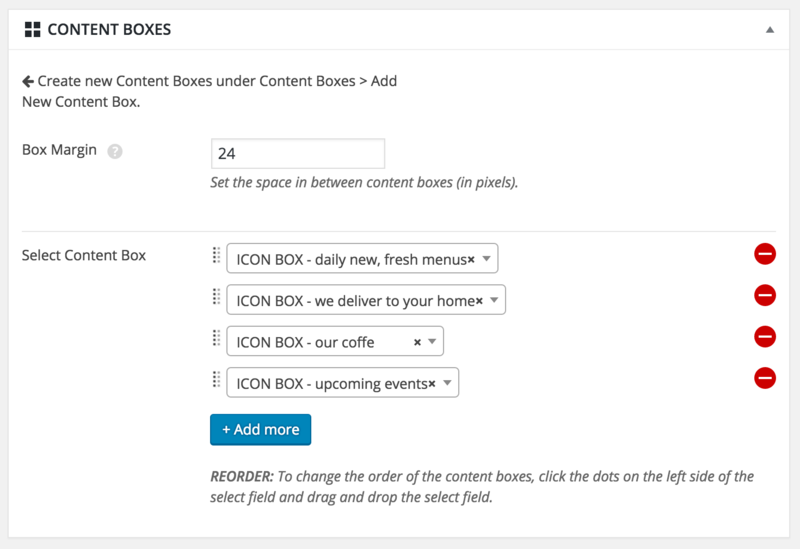 On the Spoon demo site, the icon boxes, welcome boxes and contact boxes have been created via the content boxes post type. Give this content box a title, eg. "ICON BOX - daily new, fresh menus", so you can select this box later to display on a page. (The title will not appear anywhere on the site). Content Box - Content, optionally with an image or background color below. Image Only Box - Just an image, no content. Spaceholder Box - Empty box. 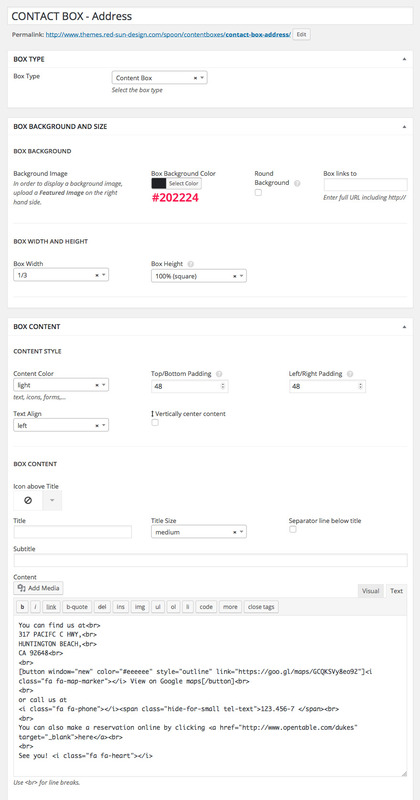 Can be used for pages that contain content boxes only, to add a bit of extra space in between content box sections. Fill in the settings and content for the box. When you enter text into the editor, paragraphs will not be inserted automatically. In the text (not visual) editor, you can add <br> for line breaks. You can give this section a title, eg. "SECTION icon boxes". (The title will not appear anywhere on the site). You don't have to select a page template. Scroll down below the editor, and in the FRONT PAGE SECTION box, check the Front Page section checkbox, which will make the frontpage section settings box appear. Under Section Layout select Content Boxes, which will make the Content Boxes settings appear at the very bottom. Select the Content box(es) that you wish to display in this section and optionally set the space in between the content boxes. INFO: Each content box can only be added once per page. Click Menu > Menu Categories. Create new menu categories (for example: starters, brunch, coffee,...) by filling in the name, slug and optionally the description (will be diplayed below the menu category name) and clicking Add new Menu Category. 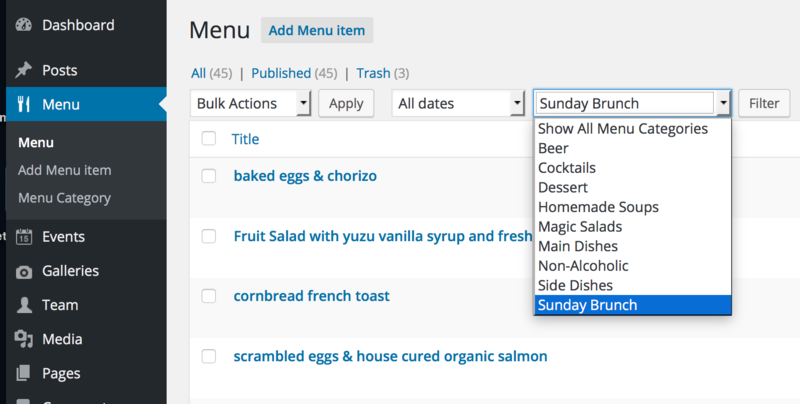 Click Edit on the newly created menu category to see the menu category styling options. 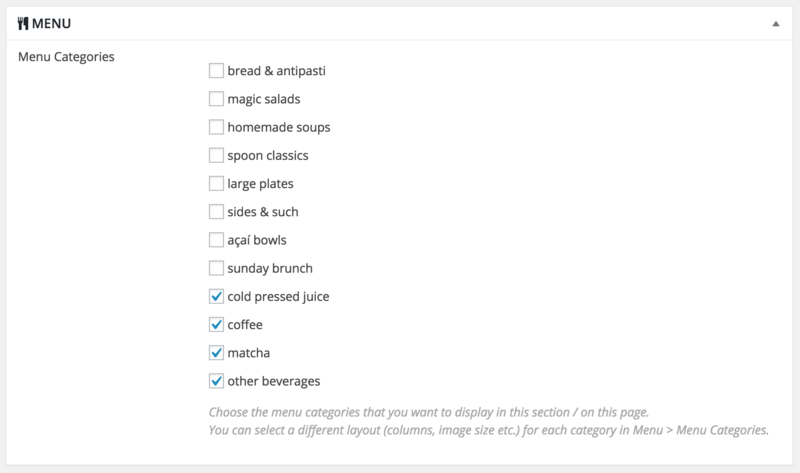 Now you can style the box of this menu category. 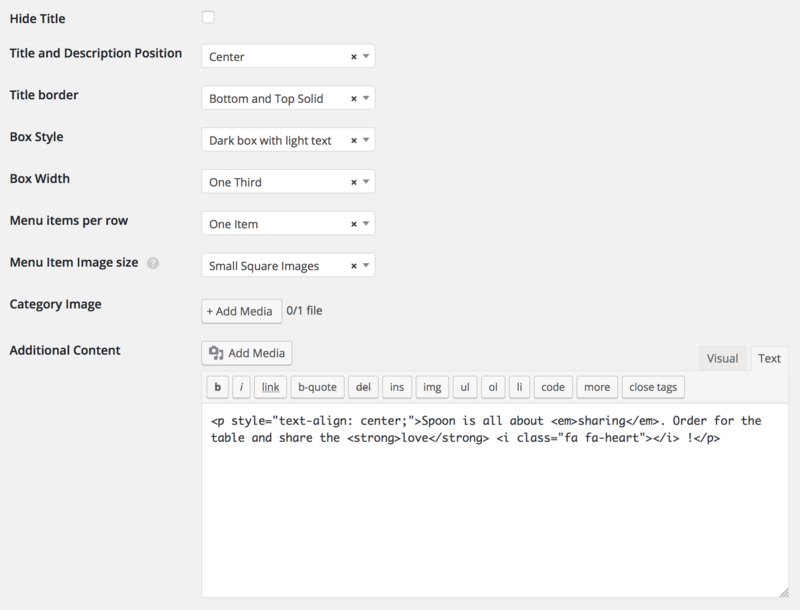 Make sure you are using WordPress version 4.4 or higher, otherwise you are not gonna see the styling options. Enter Title, Menu Item Description, price (including currency symbol) and select a Menu Category. You can give this section a title, eg. "SECTION menu". (The title will not appear anywhere on the site). You don't have to select a page template. Under Section Layout select Menu, which will make the Menu settings appear at the very bottom. In the FRONTPAGE SECTIONS settings box you will find more options. You can for example add a section title like "Menu" and a subtitle or add section buttons. 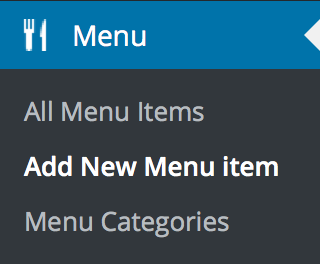 In order to create a Menu Section with Tabs, you will have to create a page for the menu section plus one page for each menu tab. Give this Tab a title, eg. "MENU TAB: starters", so you can select this tab later. (The title will not appear anywhere on the site). Look for Page Attributes on the right side and click on the Template drop-down menu. Select the "Menu" template. Now the menu category checkboxes will appear. Repeat step 1. - 4. for each Tab. You can give this section a title, eg. "SECTION menu with tabs". (The title will not appear anywhere on the site). You don't have to select a page template. Under Section Layout select Menu with Tabs, which will make the Menu With Tabs settings appear at the very bottom. Scroll down to the MENU WITH TABS box and for each tab, fill in the TAB title and select a Menu page. In the FRONTPAGE SECTIONS settings box you will find more options. You can for example add a section title like "Menu" and a subtitle. 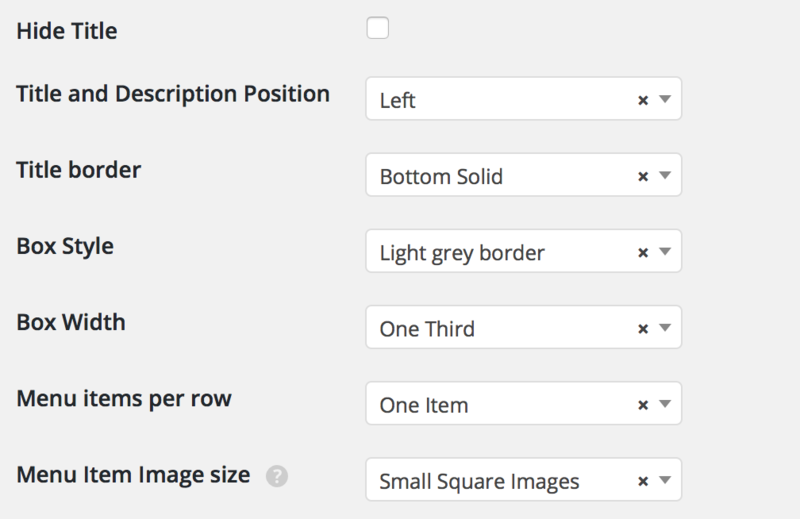 Intuitive Custom Post Order plugin. You can do that in Appearance > Install Plugins. Once the plugin is installed, go to Settings > Intuitive CPO, select "Menu" and "Menu Categories" and click Update. 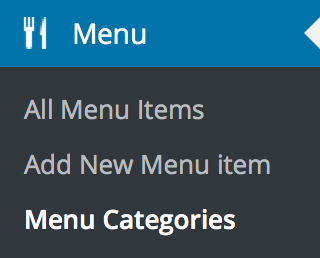 Go to Menu > Menu or Menu > Menu Category and simply drag and drop menu items and menu categories into a certain order. In order to display all menu items on 1 page, which also helps to reorder them, in the top right corner click "Screen Options" and enter a number at least as high as the total number of items you've created. The "Chef's Special" section on the Demo website was built with simply the default section layout. That way it can be changed easily if the special menu changes daily (like a daily lunch special). You can give this section a title, eg. "SECTION today's special". (The title will not appear anywhere on the site). You don't have to select a page template. 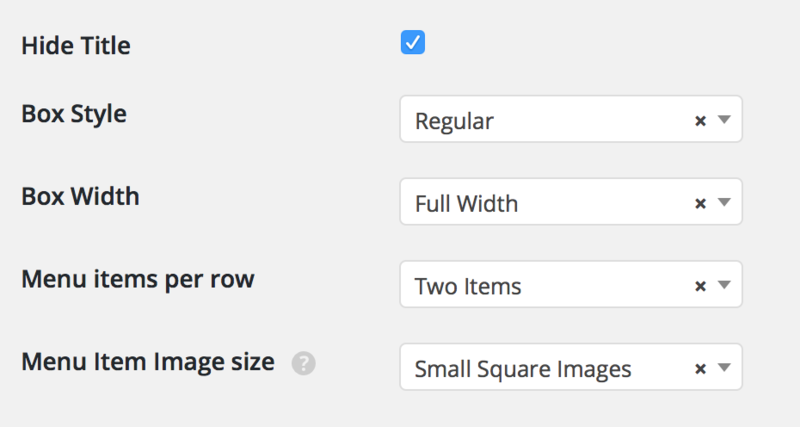 In the FRONTPAGE SECTIONS settings box, you can set the Section Content Max Width, in the theme demo I am using a width of 700. If you want to use a dark background with light text, set a dark Section Content Background Color (in the theme demo I am using #2a2c2e0 ) and set the Section Content Color to "light". If you wish, you can add a Section Title like "Chef's Special" and set the color for the Section Title. In order to display a background image with parallax effect, upload a Featured Image on the right hand side. In the editor above, add your content. In order to style the menu text, click on the Visual Editor, select some text, and click on the "Formats" dropdown menu, select one of the predefined styles. Optionally click on the center button . You can give this section a title, eg. "SECTION gallery". (The title will not appear anywhere on the site). You don't have to select a page template. Under Section Layout select Gallery. In the FRONTPAGE SECTIONS settings box you will find more options. You can for example add a section title like "Gallery" and a subtitle or add section buttons. Give this Gallery a title, it will appear when you hover over the Featured Image of the gallery. Upload a Featured Image on the right hand side and the Gallery images via the "Add Media" button. (Optionally disable the "Allow Comments" checkbox in the "Discussion" box to remove the comment form). 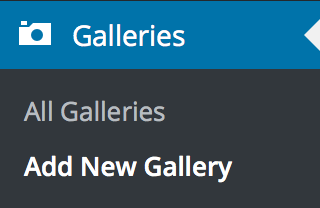 If you go to Appearance > Theme Options > Layout, you have the option to set the number of gallery posts for the gallery section as well as the number galleries per row and images per row. INFO: If your gallery posts don't display properly and you see a 404 error page instead, simply go to Settings > Permalinks and click Save Changes. You can give this section a title, eg. "SECTION blog". (The title will not appear anywhere on the site). You don't have to select a page template. Under Section Layout select Blog. In order to create a section button that links to the blog page, under "Section Buttons" enter the blog pages's full URL into the Button URL field. The blog page is the one you selected in Settings > Reading > Front Page displays A static page > Posts page. Add your Title, content and optionally upload a Featured Image on the right hand side. In order to display a "Read More button, insert the Read More tag. If you don't want to split the content, simply put the "more tag" at the end of the post. You can give this section a title, eg. "SECTION events". (The title will not appear anywhere on the site). You don't have to select a page template. Under Section Layout select Events. Add a Title, date (datepicker!) and optionally end-date, time, end-time, description and set a featured image. In order to display a "view details" button, insert the Read More tag. INFO: If your event posts don't display properly and you see a 404 error page instead, simply go to Settings > Permalinks and click Save Changes. You can give this section a title, eg. "SECTION team". (The title will not appear anywhere on the site). You don't have to select a page template. Under Section Layout select Team. In the FRONTPAGE SECTIONS settings box you will find more options. 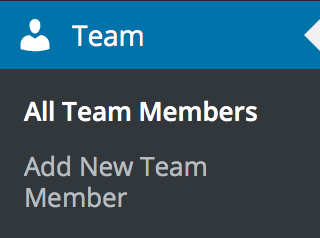 You can for example add a section title like "Team" and a subtitle or add section buttons. Upload a Featured Image and fill in the Team member info. INFO: If your team posts don't display properly and you see a 404 error page instead, simply go to Settings > Permalinks and click Save Changes. You can give this section a title, eg. "SECTION hours". (The title will not appear anywhere on the site). You don't have to select a page template. Under Section Layout select Hours, which will make the Hours settings appear at the very bottom. Fill in the Buisness Hours. Information on how to set up an online shop can be found under Multi Page > SHOP page. If you wish you can create a section on the frontpage that displays a few selected products. By default, the stylesheets for the shop will only display on the Shop pages. 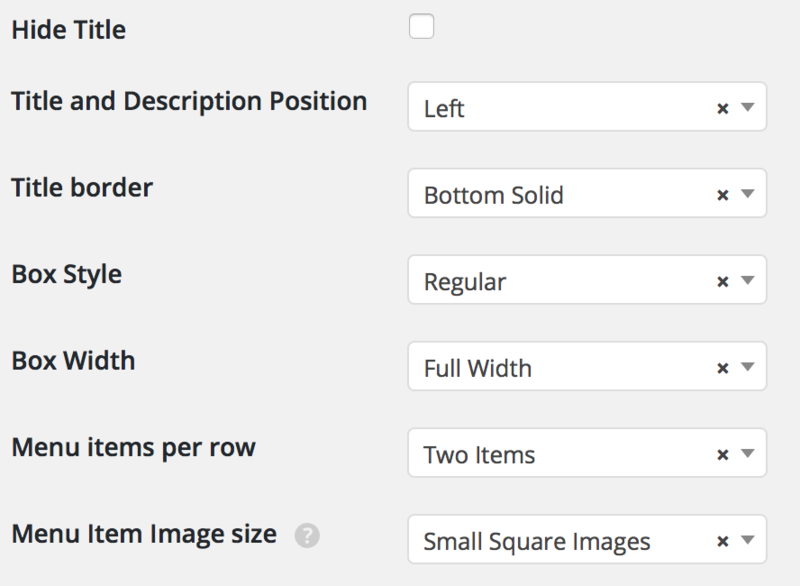 In order to load the stylesheets on the frontpage as well, go to Appearance > Theme Options > Layout and uncheck the "Load WooCommerce files on Shop pages only" checkbox. You can give this section a title, eg. "shop section". (The title will not appear anywhere on the site). You don't have to select a page template. Into the text editor not visual editor! enter a WooCommerce shortcode. If you see a grey section background color, you've entered the code into the wrong (the visual) editor. Delete the code and re-enter it in the text editor. 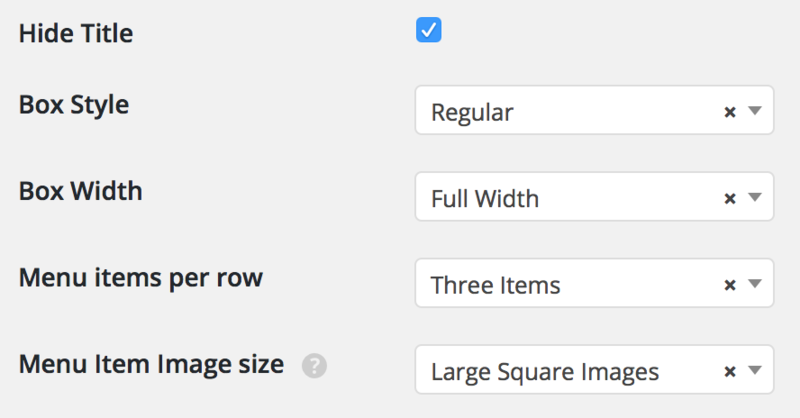 In the GENERAL box, check the Frontpage section checkbox and select the layout Default . In order to create a section button that links to the Shop page, enter the Shop pages's full URL into the Button URL field in the SECTION BUTTONS box. The Contact section on the Demo website was built with with Content Boxes. 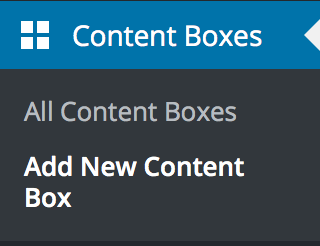 Detailed instructions on how to create a Content Boxes section can be found in the "CONTENT BOXES section" tab above. Give this content box a title, eg. "CONTACT BOX - Address", so you can select this box later to display in the contact section. (The title will not appear anywhere on the site). Fill in the settings and content for the box. A screenshot of the settings can be found here. Give this content box a title, eg. 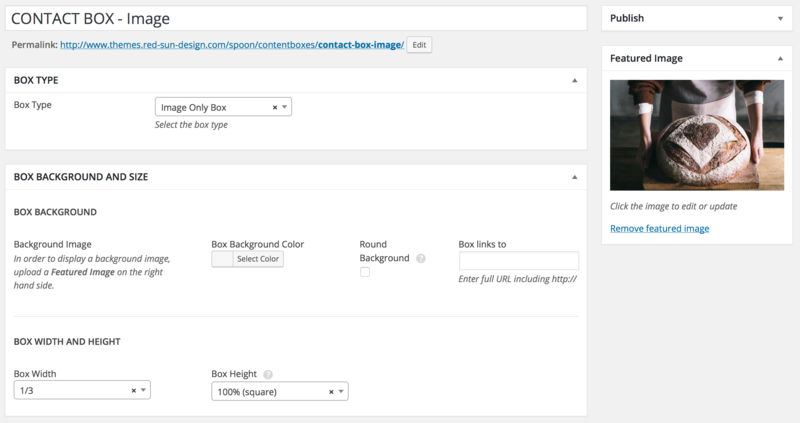 "CONTACT BOX - Image", so you can select this box later to display in the contact section. (The title will not appear anywhere on the site). Fill in the settings and upload a Featured Image on the right hand side. A screenshot of the settings from the demo page can be found here. Enter a title and create form fields. You can find more info on how to work with Contact Form 7 at: Contact Form 7 Docs. Click Save and copy the shortcode. Give this content box a title, eg. "CONTACT BOX - Contact Form", so you can select this box later to display in the contact section. (The title will not appear anywhere on the site). Fill in the settings and add the Contact Form 7 shortcode into the content field (editor). A screenshot of the settings from the demo page can be found here. You can give this section a title, eg. "SECTION contact". (The title will not appear anywhere on the site). You don't have to select a page template. 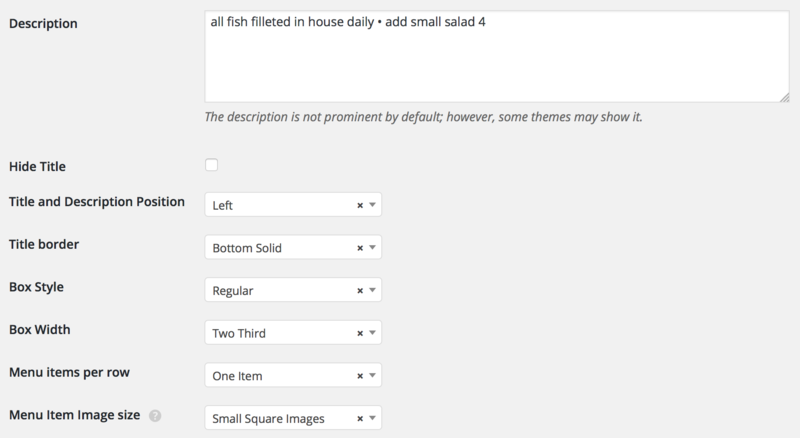 Select the 3 Content boxes that you created in Step 1 above and optionally set the space in between the content boxes. Look for Page Attributes on the right side and click on the "Template" drop-down menu. Click the Publish button above. Now you can add your new page to your Menu. Now you can add the new page to your Menu. Now you can add front page sections to this page (click on One Page in the menu above, to find out how.). Look for Page Attributes on the right side and click on the Template drop-down menu. Select the "Default Template". You can give this page a title, eg. "News". You don't have to include any content. Now you can add the new page to your menu . Click Settings > Reading and select Front page displays a static page. 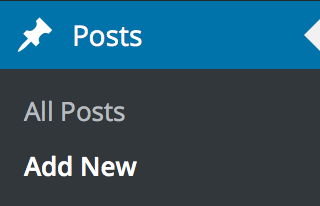 Select the page you just created as your Posts page and click Save Changes. 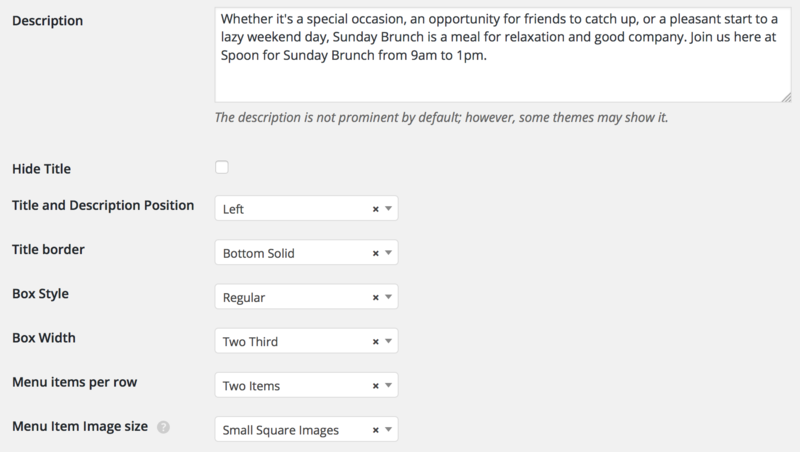 Select the blog layout in Appearance > Theme Options > General. If you wish to display a page title (and subtitle), enter it into the "PAGE settings" box below the editor, into the Page Title (and Page Subtitle) field. If you add a Featured Image, it will display up top with the Page Title and Subtitle over it. Look for Page Attributes on the right side and click on the Template drop-down menu. Select the "Menu" template, which will make the Menu settings appear at the very bottom. In order to create a Menu Section with Tabs, you will have to create a page for the menu page itself plus one page for each menu tab. 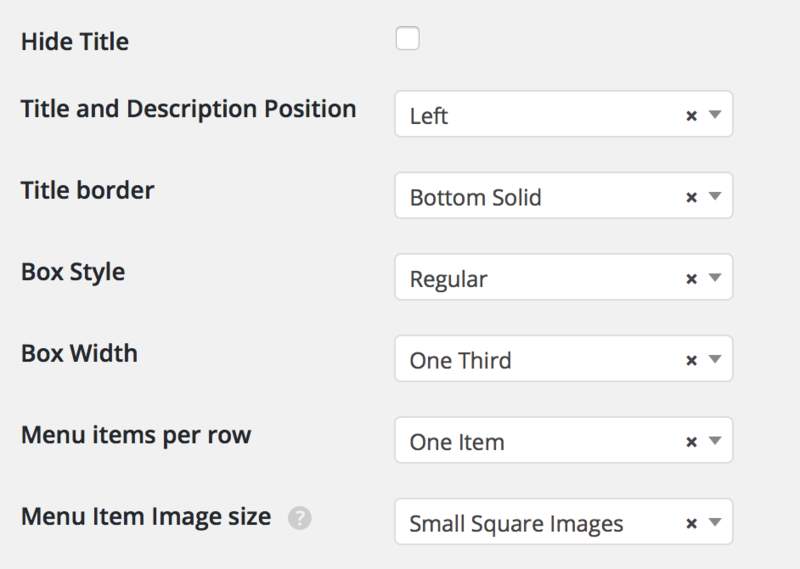 Look for Page Attributes on the right side and click on the Template drop-down menu. Select the "Menu with Tabs" template, which will make the Menu With Tabs settings appear at the very bottom. Give this content box a title, eg. "WELCOME BOX", so you can select this box later to display on a page. (The title will not appear anywhere on the site). Spaceholder Box - Empty box. Can be used to add a bit of extra space in between content box sections. Look for Page Attributes on the right side and click on the Template drop-down menu. 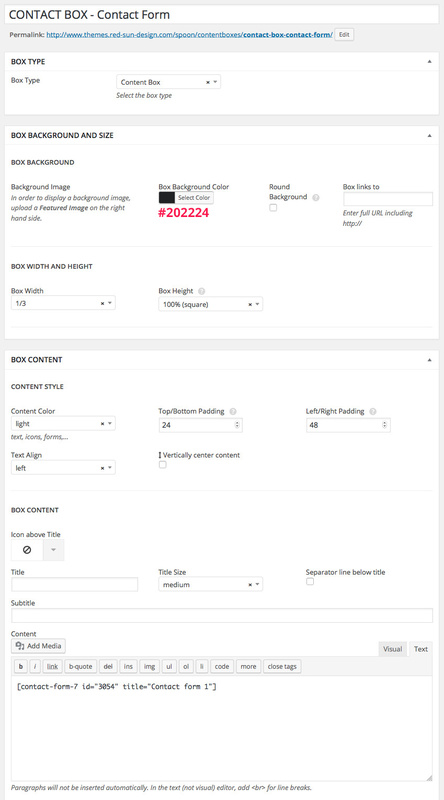 Select the "Content Boxes" template, which will make the Content Boxes settings appear at the very bottom. Select the Content box(es) that you wish to display on this page and optionally set the space in between the content boxes. Look for Page Attributes on the right side and click on the Template drop-down menu. 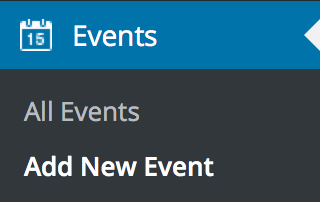 Select the "Events" template. Enter Title, date (datepicker!) and optionally end-date, time, end-time, description and set a featured image. In order to display a "view details" button, use the More Tag button. INFO: If your events posts don't display properly and you see a 404 error page instead, simply go to Settings > Permalinks and click Save Changes. Look for Page Attributes on the right side and click on the Template drop-down menu. Select the "Gallery" template. 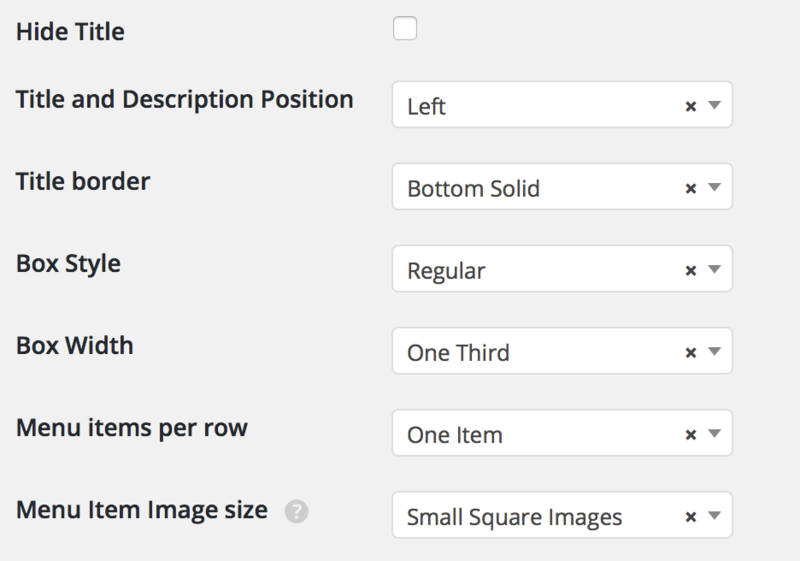 If you go to Appearance > Theme Options > Layout, you have the option to set the number of galleries per row and images per row. Look for Page Attributes on the right side and click on the Template drop-down menu. Select the "Team" template. The shop page requires the Woocommerce plugin. You can install this plugin in Appearance > Install Plugins. Once the plugin is installed, WooCommerce creates the following new pages via the Onboarding Wizard: Shop / Cart / Checkout / My Account. If you skipped the wizard or want to re-install the WooCommerce pages, go to WooCommerce > System Status > Tools and use the page installer tool (click "Install Pages"). Now if you you go to Pages > All Pages you will see the newly created pages. I recommend using the "Default template" for the Shop page and the "Fullwidth" template for Cart, Checkout and My Account. 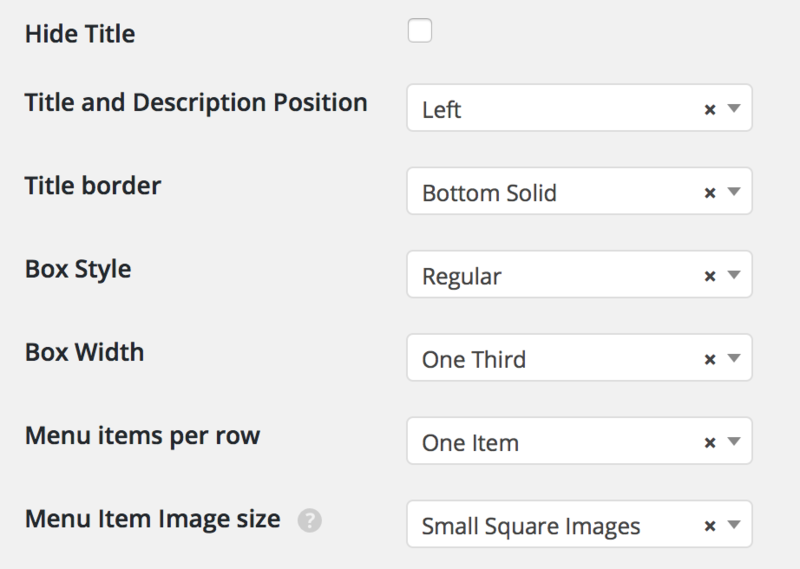 Add the Shop (and Cart, My Account, ...) page(s) to your menu and go to Appearance > Widgets in order to add widgets to the "Woocommerce" sidebar. If you would like to add a shopping cart icon to the menu in the top bar, I can recommend the Woocommerce Menu Bar Cart plugin. The Contact page on the Demo website was built with with Content Boxes. Detailed instructions on how to create a Content Boxes page can be found in the "CONTENT BOXES page" tab above. Give this content box a title, eg. 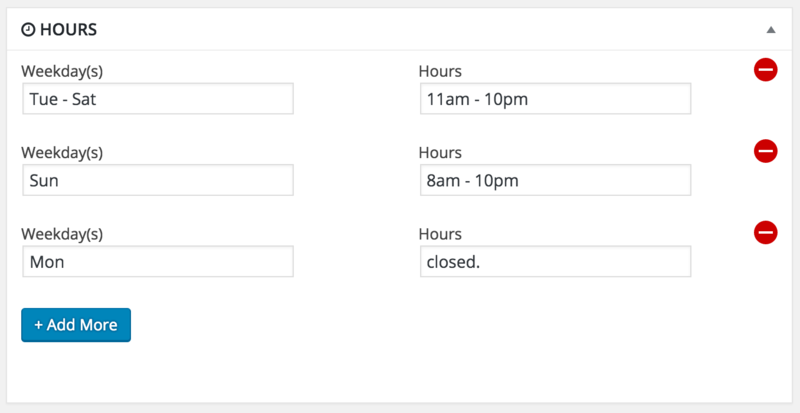 "CONTACT BOX - Image and Business Hours", so you can select this box later to display in the contact section. (The title will not appear anywhere on the site). Once the theme is installed, the Theme Options will appear under Appearance > Theme Options. GENERAL - Add some custom CSS, activate lazy load for your images, add a 404 error message, remove all comments from the entire website. HEADER - Enter the top bar info and upload your logo. 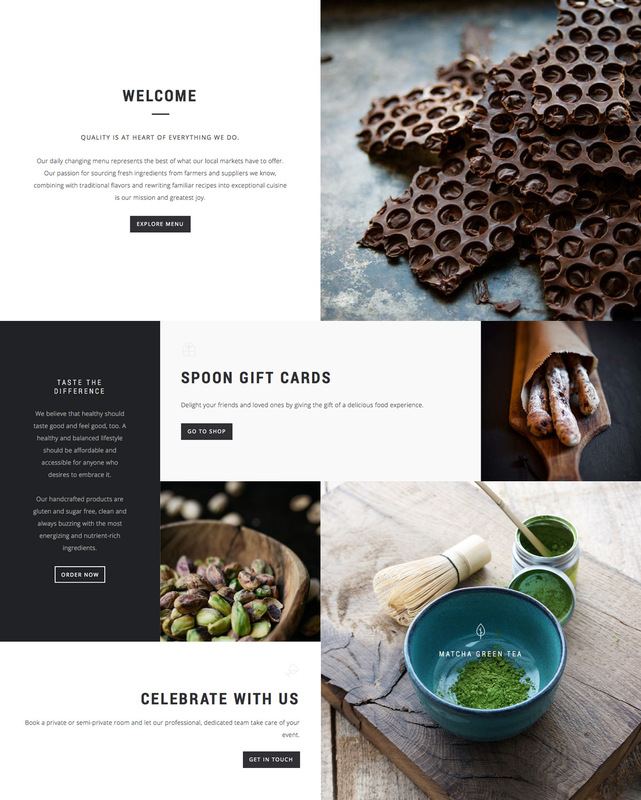 LAYOUT - Set up the Blog Layout, Gallery Layout, Team Layout and optionally load the WooCommerce stylesheets outside of the WooCommerce pages. TYPOGRAPHIE - Select the font size for the top bar, the navigation, section titles, single blog post titles, select a Font for Headigs, remove links underline. 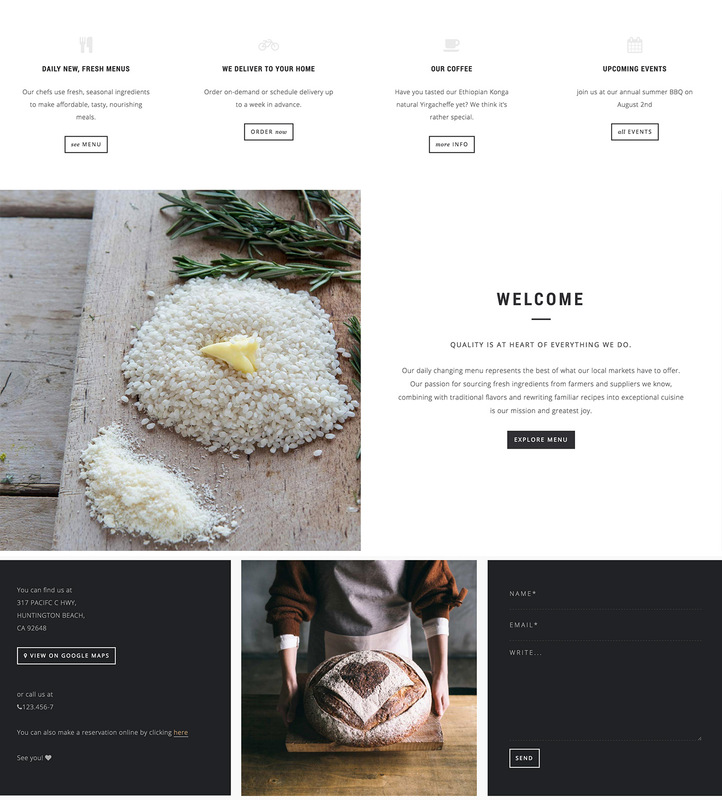 COLOR - Set the theme color, hover color, header color, navigation color and footer color. SOCIAL - Enter the URL's of your social network accounts and display social icons in the footer and in the top bar. FOOTER - Enter the copyright text. SPOON includes 1 sidebar. It displays on single blog pages, pages using the default template and the regular blog page only. Simply go to Appearance > Widgets to drag and drop any widgets into the "sidebar main". Using shortcodes is very easy. To use one, create a new post (or edit an existing one), and in the the editor type a shortcode in brackets. You can find a demonstration and the code for all included shortcodes on the Shortcodes page of the theme demo. Highlight 1 uses black text, hightlight 2 white text. If you don't add a color value for the background color, the secondary theme color as set in the Theme Options Panel will be used. Please find a demonstration and the code for the column shortcodes on the Shortcodes page of the theme demo. SPOON includes the "Fontawesome" as well as the "Pe 7 icon 7 stroke" icon font. You can find more usage examples here. In update version 3.0 the Meta Boxes were moved to a plugin. 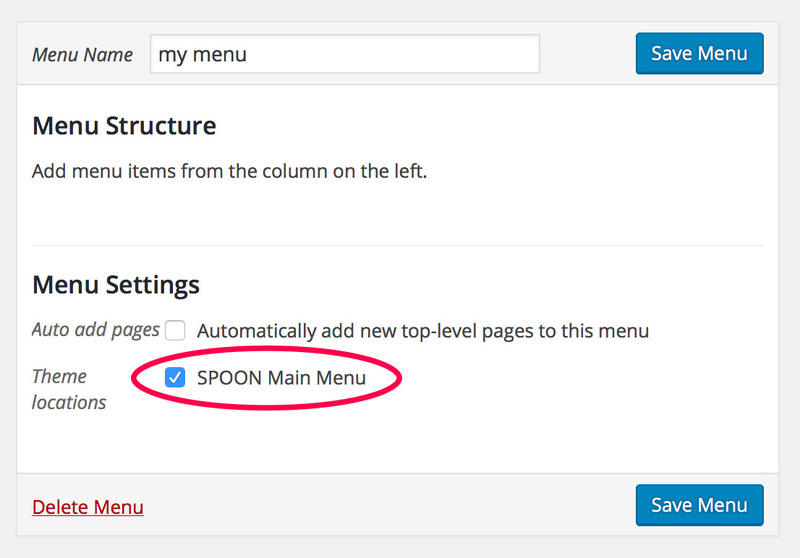 Please install the Spoon Meta Boxes plugin in Appearance > Install Plugins to ensure full functionality of the theme. file: woocommerce_functions.php, product-searchform.php, pagination.php - Fixed: deprecated function and outdated woocommerce files. file: events-section.php - Fixed: wrong number of events displaying in the events section. file: scripts.js - Fixed: Code error if header is not sticky. file: functions.php, jquery.waypoints.php, jquery.waypoints-sticky.php, style.css - Fixed: Scroll to frontpage sections, Navigation Menu highlight. file:content-boxes-loop.php, single-contentboxes.php - Fixed: Icons not displaying in Content Boxes. file: social-section.php - Fixed: Social icon links. 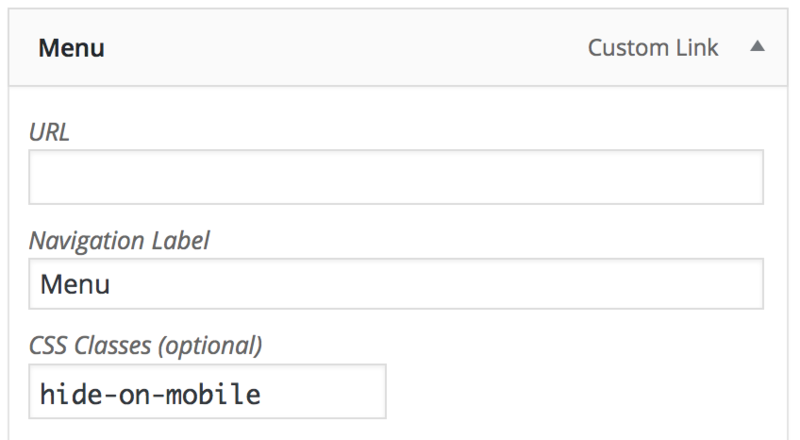 file: dynamic-css.php - Fixed: Custom CSS field. file: options.php, events-loop.php, events-section.php, template-events.php - Added: Option to set the number of events in the events section. file: content-boxes-loop.php, spoon-shortcodes.zip - Fixed: Backwards compatibility with older PHP versions. Contains: Foundation for the site design. It controls the design structure of the theme. Be careful modifying this file so that you don't break the layout. 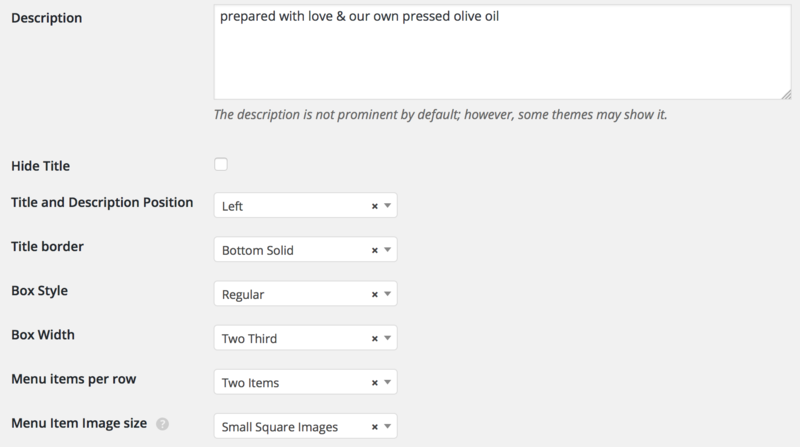 Contains: Design structure for the theme options panel. There is probably no need for you to modify this file. Furthermore the folder includes/meta-boxes contains various css files which contain the design structure for the metaboxes in the WordPress admin. There is probably no need for you to modify these files. Furthermore the folder includes/meta-boxes and includes/theme-options contain various js files for the Theme Options Panel and metaboxes in the WordPress admin. There is probably no need for you to modify these files. Theme Installation Error “The package could not be installed. The theme is missing the style.css stylesheet". Start by logging into Themeforest with the account that you've used to purchase your theme. Click Downloads and re-download the theme you've purchased. You will automatically get the newest version. 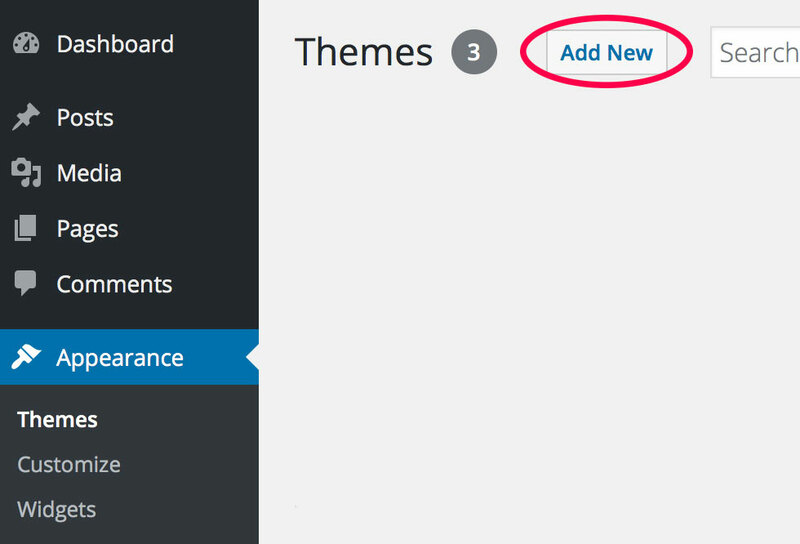 Go to your WordPress admin and click Appearance > Themes . Activate any different theme, choose delete files for the old SPOON theme and then upload the new theme and activate it. If you attempt to upload a new version of a theme without deleting the old version first, the theme install will fail. Deleting the old theme may seem scary, but you are not going to loose any of your content or theme settings. You will only lose the changes that you've made directly to the theme files. These changes will need to be made again to the new files. If you are still uncomfortable deleting the old theme, you may use a plugin, like for example Easy Theme and Plugin Upgrades to automate backing up your current theme and uploading the new version. In case something goes wrong, you can simply change back to the old theme. Spoon can be translated into any language without having to edit the template files. Go to Settings > General and set the Site Language to your language. Download Poedit, which is a free, open source tool. Look for the the spoon.pot file, which is included in your theme files (in the subfolder "languages") and open it with Poedit. You should see a list of all strings (in English) used in the theme. Go through the list and click on the text that you want to translate. When you click a line of text, the same text will appear at the upper of the 2 boxes at the bottom. Enter the translation for the text in the lower box. If you right-click on any line, you’ll see a file name and line number like “archive.php line 71″. That is the place in the theme files where this text is being used. If you are looking for a certain text that you want to translate, click Edit > Find . In Poedit > Preferences > Editing, make sure Automatically compile MO file when saving is checked. That way, when you click File > Save as, it will automatically output a .po and .mo file. The naming of your .po and .mo files is important. The naming convention is based on the language code (e.g. pt for Portuguese) followed by the country code (e.g. _PT for Portugal or _BR for Brazil). So, the Brazilian Portuguese files would be called pt_BR.po and pt_BR.mo. A complete list of codes can be found at language codes and country codes. Save the translation files in the same folder as the spoon.pot file. You can always open your .po file again (in Poedit) and add translations. Simply go to Settings > Permalinks and click Save Changes. Make sure you are not uploading the whole zip file that you've downloaded from Themeforest (including dummy content, license, psd files, readme ...) but only the spoon.zip file.